Noticed today for the first time in a few months that at least 1 tank car has been delivered to the chemical company at the end of track in Newark. At least there is at leat one customer left after all. That's good news Dougster. I've been keeping an eye on the company weekly and I was begining to think that they were never going to get another rail delivery again. I think the name of the customer is WAS Terminals Inc at 126 Passaic St but I'm not sure. 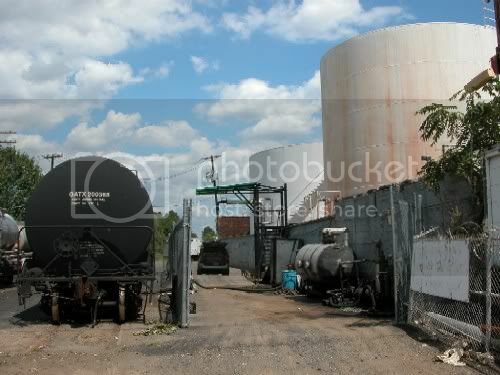 Believe this company is Newark Asphalt and the tank car loads are not chemical related. Now that would have been a site. I did explore this line in the spring and people in the area were surprised to even know that a train still ran there even if it does run infrequently. Any potential customers on the line? riffian wrote: Believe this company is Newark Asphalt and the tank car loads are not chemical related. 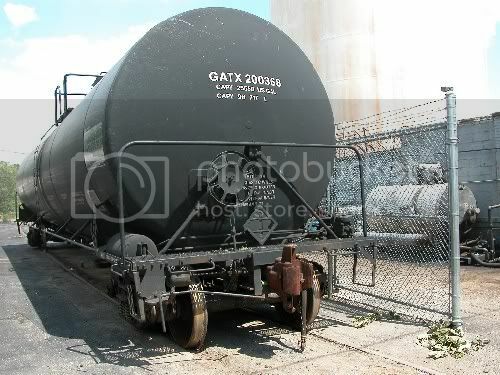 On another list is was mentioned that Frey Chemical got the tank car. I find it vert interesting that the tank car was NOT chemical. Maybe another customer is active?? I would love to explore down there, but I don't want to be tagged for "target practice"
Frey Chemical is on the runaround-just north of W.A.S. Terminal.....It's probably been 10 yrs since they've gotten a car!! Newbie here. This may not be news, but I checked out W.A.S. Terminals today at lunch. The tanker is vegetable oil for biodiesel fuel, and is likely to be picked up Friday night, a worker there told me. They are handling more of that stuff now. See my shots below. Thanks for the PICs B_A_R. Does anyone know why there was such a long gap in service to this company? Probably because biodiesel was not much of a concern until now. Just be glad you don't have to press "2" for English. If Cass Elliot shared her sandwich with Karen Carpenter, they'd both be alive today. Thanks for the pictures B_A_R! I am surpirsed that after 10 years that they could even still receive a car. Doesn't the RR abandon tracks are are unused? Those tracks look really buried in the pavement! They were receiving cars all of the time until about 6 months ago. Then they suddenly stopped. This is the first car since then.